SGS is Short (as of close of 3/16/2010) - SGS will go long unless Market sells off 1% or more tomorrow. 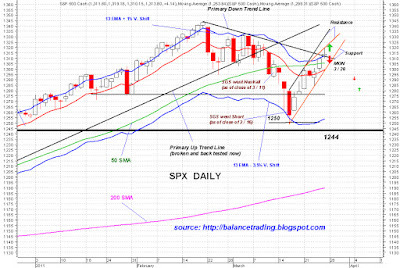 Five major indices I closely follow have now closed above their primary down trend lines on their daily charts. The up move by RUT is most impressive and signifies that the current correction / price consolidation is near its end. On their weekly charts however, all five indices are right against their recent primary down trend lines. 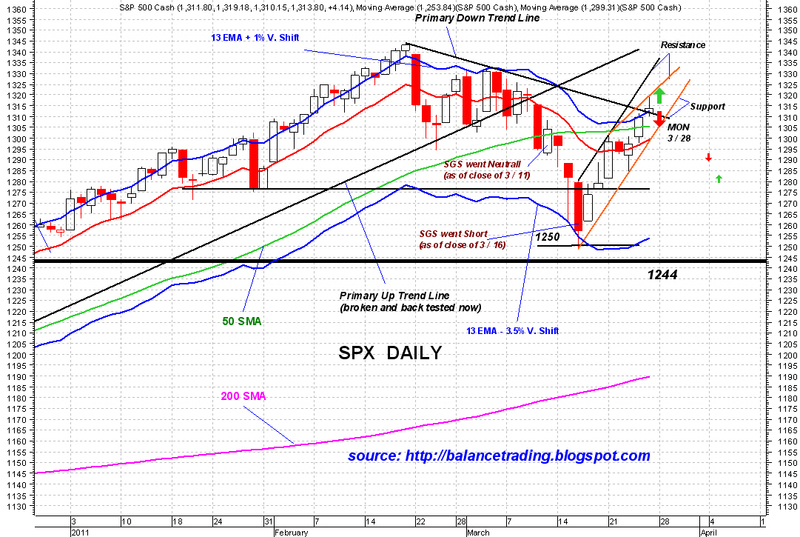 I think a pull back, possibly to back test 1300 for SPX is very much in the cards, possibly tomorrow or on Tuesday. My plan is to close all my short position at SPX 1301.